As we close out January and head into February, it’s a good time to remember that 80 percent of new years’ resolutions fail by February, according to US News and World Report. The rush of the new year excitement and the unwavering commitment begins to wear off, and we start settling back into our normal routines – forgetting about eating healthier or finding that new job. Whether it’s a resolution made at the start of a new year or one made at any point in life to address a goal or challenge, we often fail because we set our resolutions in the traditional way. That is, making vague and lofty blanket declarations that are not tied to specific behaviors or internal motivation – and which lack any clear action plan or follow through to make the resolution happen. In order to be among the top 20 percent who set and achieve their resolutions, here are four tips that will help ensure your success, specifically in the area of work and career development. Be clear and specific on the outcome you want. It’s important to get to the heart of the exact result or goal you want to make happen. Clarity allows you to plan and decide on the exact steps and actions to take in order to get what you want. Getting more specific on what you want to accomplish will help you understand better how to get there. Answer this important question: Why is this resolution and outcome important to me? We often fail to make big changes in our lives because we lack the internal buy-in. This buy-in fuels our motivation, enthusiasm and grit to pursue our resolutions. One direct approach to uncovering your internal buy-in is to ask, “Why is this resolution important to me?” With the above example, a first pass at answering this question may be to make more money. Go even deeper, why do you want to make more money? The answer to this may be to buy a new car, pay off debt or buy a house. Then you can follow up with asking why are these things important? Perhaps you want to feel a sense of financial freedom and independence. The feeling you want to experience is your true goal and that helps you decide how to best tackle it. Take specific but consistent steps toward your outcome. Break your outcome down into manageable steps so that you have a path forward. In the case of finding a job, perhaps the first steps are: developing your personal brand, networking to enhance your prospects and creating a job search application plan. Then for each of these, you can determine specific next steps – even small ones – that will move you toward your goal. With this approach, your first baby step might be to define what you want your personal brand to be by writing down how you want others to see and describe you. Follow that with other logical steps and action items you can pursue that will result in progress toward your desired outcome. Don’t jump ahead or worry about the steps that are further down the road or that you’re not ready to take. Just take it one step and one day at a time, and over time, these small steps will eventually get you to the finish line. Put an accountability system in place. People are more likely to be successful with their goals when they have someone else to whom they are accountable. This could be a coach, personal trainer, career mentor or even a friend. Tell them your plans, ask them to hold you accountable and to demand frequent updates on your progress. You could also make a public declaration about what you intend to do using group, community or social media settings. Perhaps you could write down your resolutions and have your “accountable partner” witness the document. The idea is that you want to develop a system of external support that can help track your progress and keep you honest in making good on your promises. 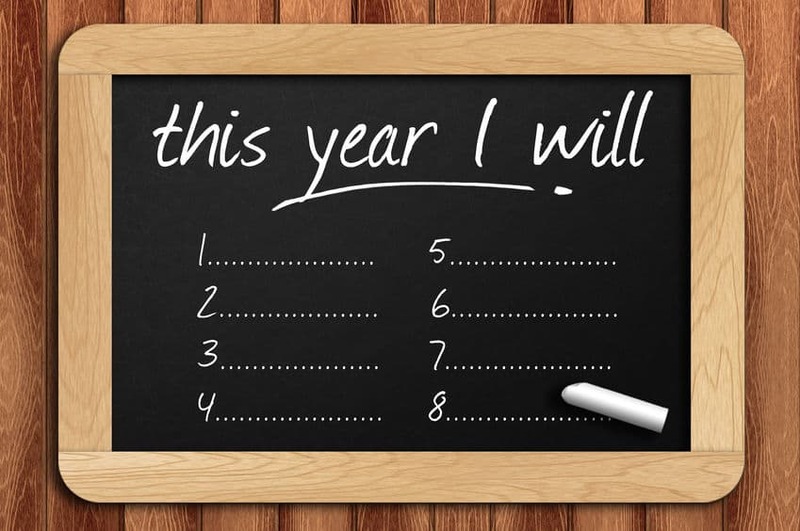 You can be among the top 20 percent who set resolutions and actually accomplish them. Just remember to first get crystal clear on what you want to accomplish. Then clarify why that particular outcome is important to you. Then break your goal down in smaller action steps and manage the whole process with external support elements that will hold you accountable.